It took 11000 hours, but the result is outstanding. 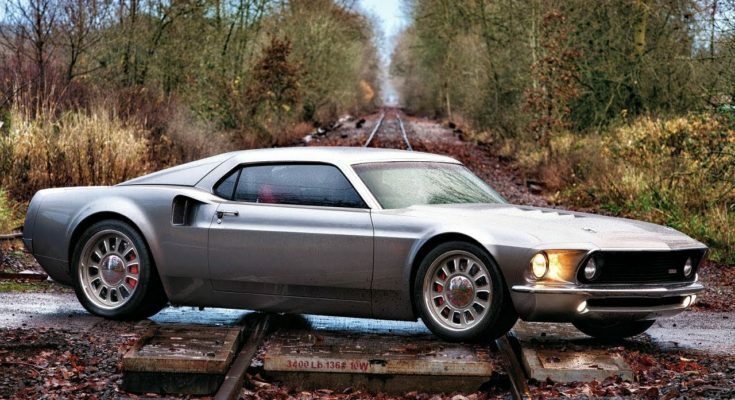 This is a mixed Ford GT and 1969 Ford Mach 1. to already classic muscle machines blended into one. Ultimate mixrod! Although the goal was not a modern looking machine (despite using a 2006 GT 40), this car is being discussed as one that could be produced for the modern market. You can definitely see both the GT and the Mach 1 in its lines. But does it also might remind one of the new Charger series. Worth the effort? Eckert’s put in 3 years of work to make this, so it better be!